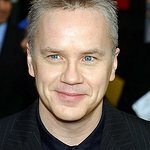 The inaugural Faith, Hope & Charity Gala, presented by Catholic Charities of Los Angeles, will honor Tim Robbins and The Actors’ Gang with the Compassionate Advocate Award at a gala benefitting the organization’s Immigration and Refugee Resettlement Program on Saturday, April 27 at De Luxe Banquet Hall in Burbank, CA. The evening will be hosted by 4-time Emmy Award-winning journalist, Leyna Nguyen (“Teenage Mutant Ninja Turtles”) and will also honor PwC US (PricewaterhouseCoopers), Mosaic Church founders Erwin and Kim McManus, and community activist Nam Loc Nguyen. The Faith, Hope & Charity Gala will also include a special performance by Musical Director Greg Wright (songwriter/producer for Diana Ross, Natalie Cole, The Jacksons, Marvin Gaye). Catholic Charities of Los Angeles’ Immigration and Refugee Resettlement Program provides support and advocacy to individuals and families by helping them to legalize their residency status and become naturalized citizens. The program works to help vulnerable immigrants and refugees achieve legal status, self-sufficiency, family unity, cultural integration and long-term success by providing exceptional legal and social services. The Faith, Hope & Charity Gala is generously sponsored by Kieu Hoang Winery, The American Fundraising Foundation (AmFund), and singer, actor and philanthropist Ha Phuong (“Finding Julia”).